As a chef, a well made knife is very important to me. Not only as chef, but also as a blogger. 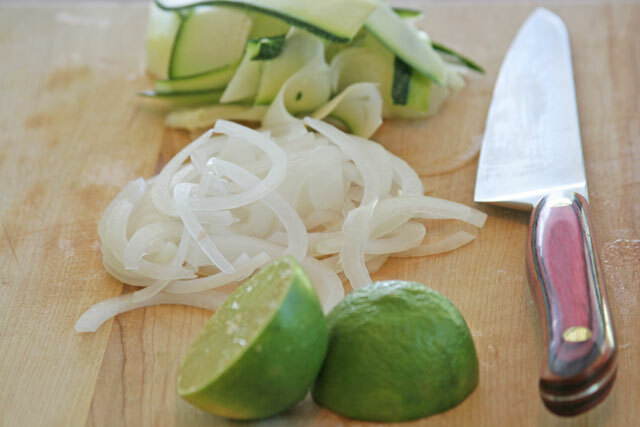 The difference in a knife cut can make or break a dish, be it for a photograph, or the amount of flavor extracted from the sweated onion for the perfect soup. It can be that meticulous at times. At home, it is the ease and beauty of this knife that has made it a part of my everyday kitchen life. When I first held it, the only hesitation I had was with the width of the blade. This based on I had not cut one single thing with it. I found out moments later when I grabbed a tomato, that width was not an issue. It is a light, quick cutting knife, fits like a glove in my hand. Tomatoes are the ultimate test, it sliced like a dream, with ease. I am testing the Chef 8, I chose the bright pink one, it is gorgeous! Enter to win their giveaway! I am very particular in what companies I endorse and work with. I am extremely happy to be working with these knives and company. I have teamed up with New West Knifeworks to bring you another awesome review! They are are holding a giveaway on their Facebook site, so check it out! They are based in Wyoming, Corey Milligan is the mastermind behind the operations. He worked in kitchens and understands the importance of a fine tuned knife for a chef. He has learned from the best in Japan and brought his knowledge to the U.S. The craftsmanship is like no other in the U.S., and they are a thing of beauty, a piece of art. The first time I saw on, I knew I wanted one. 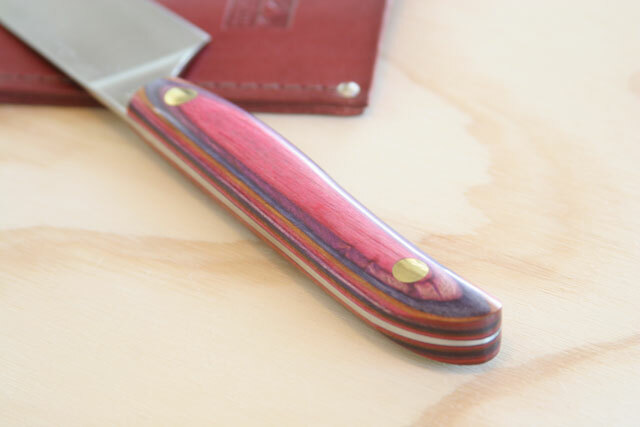 Not only is it beautiful, it is made well, with the finest details and attention paid to the blade. When I review a product, I put it to the test big time. So I made a ribbon salad. If you can cut even ribbons less than an 1/8 inch thick with one swoop of a knife over and over again. After cutting root vegetables all morning, you know it’s a keeper. This all happened after I have been using this knife daily for two weeks, with the occasional honing. 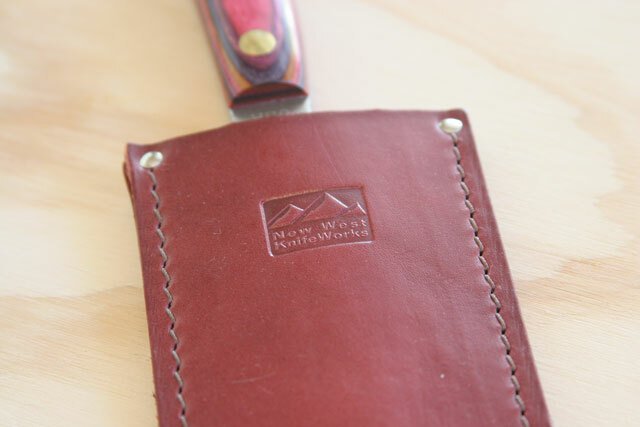 American Made New West Knives are crafted by skilled American workers using the finest USA made steel. A Greener Knife New West Knives are produced in a factory run entirely on its own onsite hydro-electric generator powered by the nearby river. Super Steel Crucible S35VN powder metal steel transcends all the traditional limitations of working with high-carbon, stainless steel. That means a knife with the optimal combination of sharpness, edge holding, toughness, stain resistance, and sharpenability. 1. Place all ingredients in a blender, food processor, blend until smooth. 1. 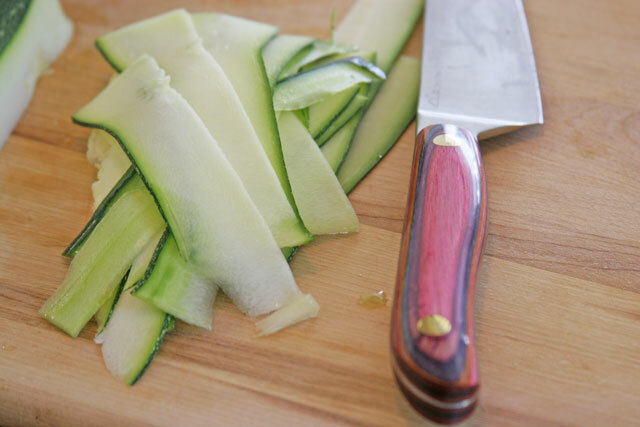 Place the ribbon zucchini in a large bowl with the dressing, set aside and marinate for one hour. 2. In a medium skillet, add 1/4 cup oil. Heat over medium high. When the oil is shiny, add the onions, and crisp/fry for 4-5 minutes, or until crispy golden brown. Remove and place on a paper towel to drain while preparing the salad. 3. Serve the salad with a pinch of the crispy onions and cilantro on top. Disclaimer: I was given this knife in trade for this review. I was not compensated in any other way. As always these opinions are all my own. Great information! You have to have confidence in your knife, and to do that you have to use it. I do like the handle – it looks very ergonomic and well balanced. 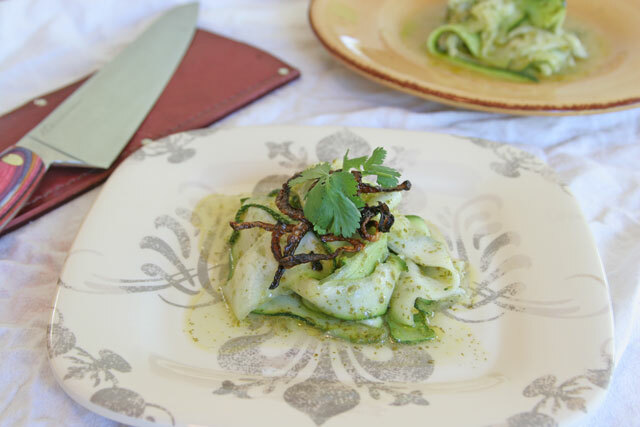 Ok, that is some seriously great knifework with the zucchini ribbons. What a way to test out the knife! Thanks so much, it was challenging and fun!